Ernst Börngen was born on 7 February 1916 at Meuselwitz in Thüringen. On 27 June 1940, Börngen joined JG 27. Leutnant Börngen was assigned to 4./JG 27. He recorded his first victories on 18 August, during the Battle of Britain, when he shot down two RAF Spitfire fighters over Selsey Bill. Börngen participated in the Balkans campaign. He shot down a Greek Gladiator biplane fighter near Kalambaka on 15 April 1941. Following the successful conclusion of the Balkans campaign, Börngen participated in Operation Barbarossa, the invasion of Russia. He claimed two Russian DB-3 twin-engine bombers shot down on 25 June to record his fourth and fifth victories. In late September 1941, II./JG 27 was relocated to North Africa. By the end of 1942, Börngen had added 13 British fighters and a solitary RAF Blenheim twin-engine bomber to his growing victory total.  On 20 May 1943, Börngen was appointed Staffelkapitän of 5./JG 27. On 11 July, he shot down a Spitfire (11) but received damage to his Bf 109 F-4trop (W.Nr. 102 03) “Black 3” in the combat that required he make a belly-landing at El Alamein. On 20 September, Börngen was wounded in aerial combat. Börngen led 5./JG 27 during the heavy fighting over southern Italy. On 16 July 1943, Oberleutnant Börngen shot down a USAAF B-24 four-engine bomber to record his 28th victory but his Bf109 G-6trop (W.Nr. 183 71) was hit by return fire in the engagement. He again received wounds and was required to make a forced-landing. Following his recovery, Börngen was transferred for a spell of instructing at Jagdgruppe Süd. In March/April 1944 he was transferred to the Geschwaderstab of JG 27 and, later, III./JG 27 on Reichsverteidigung duties. On 13 April 1944, Börngen was appointed Staffelkapitän of 2./JG 27. 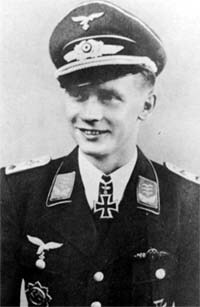 On 13 May 1944, Hauptmann Börngen was appointed Gruppenkommandeur of I./JG 27. On 19 May 1944, Börngen rammed a USAAF B-24 four-engine bomber over Helmstedt in Bf 109 G-6 (W.Nr. 441 101). He baled out but lost his right arm in the incident. His wounds resulted in him seeing no further action in the war. Ernst Börngen was credited with 41 victories in 450 missions. He recorded two victories over the Eastern front. Of the 39 victories recorded over the Western front, 16 were four-engine bombers. Additionally, Börngen recorded 24 unconfirmed victories.